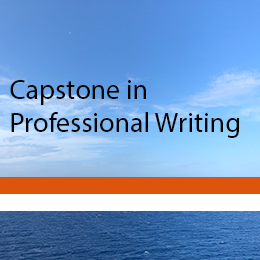 I'm an associate professor in Auburn University's Master of Technical and Professional Communication Program in the Department of English, and the Editor of Communication Design Quarterly. My research interests include perceptions of environmental rhetoric, ethics, and document design. 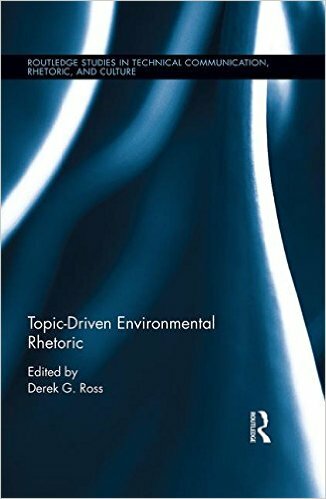 My edited collection, Topic-Driven Environmental Rhetoric (2017), is available from Routledge Taylor & Francis Group, and Amazon. You can see me in an interview talking about my work with Aldo Leopold's land ethic at the 2015 International Professional Communication Conference here. More recently, I was featured in our Discover Auburn lecture series, where I gave a talk titled Earth First! : Communications and Radical Environmentalism. Discover Auburn Lecture Series:”Earth First! Communications and Radical Environmentalism” from Auburn Libraries on Vimeo. Office Hours: Wednesday 1:00 - 2:45, and by appointment. I often work in my office: if the door is open, you are welcome to stop in. My office is a safe space for all students, faculty, staff, and visitors, regardless of race, color, creed, class, religion, political affiliation, or gender identity. During the semester, I respond to email during business hours: between 8:00 and 5:00 M - F, excluding university holidays. I try to respond within 24 hours. Ross, D. G. (Ed.). (2017). Topic-driven environmental rhetoric. Routledge/Taylor & Francis Group. Honorable Mention for the 2018 CCCC Technical and Scientific Communication Award in the category of Best Original Collection of Essays in Technical or Scientific Communication. Ross, D. G. (2018). Résumé design and career advocacy in a Goodwill Career Center. In G. Agboka and N. Matveeva (Eds. ), Citizenship and Advocacy in Technical Communication: Scholarly and Pedagogical Perspectives (pp. 175 – 198). New York, NY: Routledge. Ross, D. G. (2016). “We will live to piss on their graves”: Edward Abbey, radical environmentalism, and the birth of Earth First!. In R. D. Besel and B. K. Duffy (Eds. ), Green voices: Defending nature and the environment in American civic discourse (pp. 243 – 273). Albany, NY: SUNY. Ross, D. G. (2013). Deep audience analysis: A proposed method for analyzing audiences for environment-related communication. Technical Communication, 60(2), 94-117.
and independent studies in Activist Rhetoric and Teaching Technical Communication.